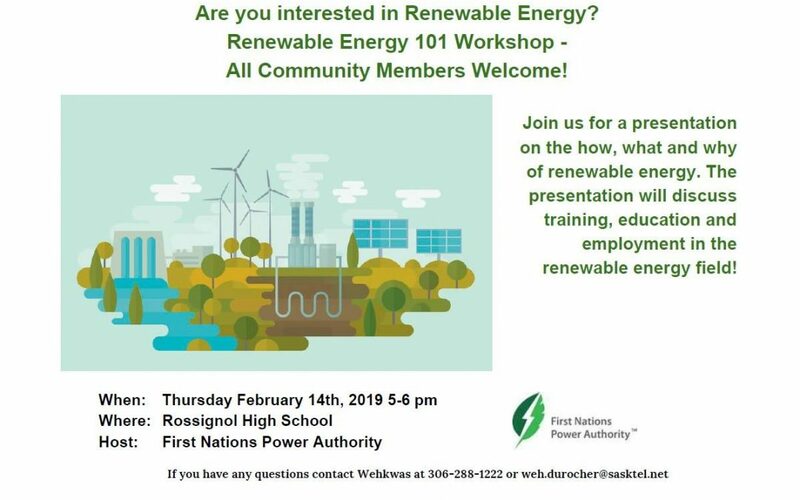 The First Nations Power Authority is holding a “Renewable Energy 101” workshop in Ile-a-la-Crosse on Feb. 14 at Rossignol High School. Community members can attend the workshop to learn about different sources of renewable energy and how they can be implemented into their daily life. The presentation will discuss training, education and potential employment in the renewable energy field. The workshop was inspired by a conference held in the Northern Village of Green Lake last year after they switched their main power source to solar. The rural village was experiencing many power outages and the community knew they had to do something different. They received funding and now own and operate the solar panels. Based on their experience, they hosted the conference to introduce other communities in the region to renewable energy. Gardiner is from Ile-a-la-Crosse and after years of research on renewable energy, he made the switch to live off-the-grid. Gardiner operates his home with solar power, and on grey days, he has battery power as back up. Jenna Gull, the community energy project manager at FNPA will be leading the event. “It’s the fundamental and basic aspects of what is renewable energy, what are the basic applications and what is the technology involved,” says Gardiner about what topics Gull will be covering. Before the “Renewable Energy 101” workshop, Gull will be holding an information session for the high school students and then one for an adult education class. The First Nations Power Authority was started as a not-for-profit to include Aboriginal people in the power sector. Established in 2011, the FNPA facilitates the development of Indigenous-led power projects.